The Crane House assisted living neighborhood at South Franklin Circle offers you as much independence as you’d like with the knowledge that personal care and support services are available when you need them. Well-appointed, spacious apartments include large windows and generous closet space. Crane House is also available to South Franklin Circle independent living residents whether they need temporary help following a surgery or are recovering from an illness. 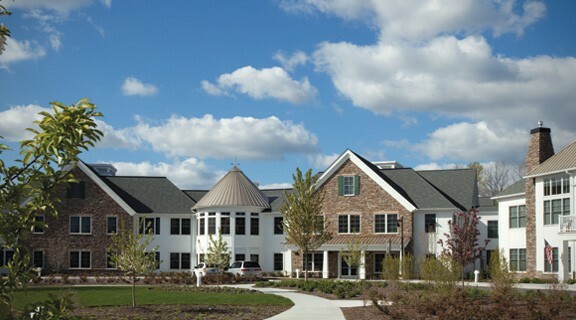 As a resident living in Independent Living you have access to 10 free care days per year in Crane House after living at South Franklin for one year. Outdoor recreational areas on a beautiful 90-acre campus including gardens, walking trails and fishing ponds.